“For I know the thoughts that I think toward you, says the Lord , thoughts of peace and not of evil, to give you a future and a hope. Then you will call upon Me and go and pray to Me, and I will listen to you. And you will seek Me and find Me, when you search for Me with all your heart”. (Jeremiah 29:11‭-‬13 NKJV). “And do not be conformed to this world, but be transformed by the renewing of your mind, that you may prove what is that good and acceptable and perfect will of God”. (Romans 12:2 NKJV). “No one can serve two masters; for either he will hate the one and love the other, or else he will be loyal to the one and despise the other. You cannot serve God and mammon”. (Matthew 6:24 NKJV). “Trust in the Lord with all your heart, And lean not on your own understanding; In all your ways acknowledge Him, And He shall direct your paths. Do not be wise in your own eyes; Fear the Lord and depart from evil. It will be health to your flesh, And strength to your bones”. (Proverbs 3:5‭-‬8 NKJV). “All the ways of a man are pure in his own eyes, But the Lord weighs the spirits. Commit your works to the Lord , And your thoughts will be established”. (Proverbs 16:2‭-‬3 NKJV). “But know this, that in the last days perilous times will come: For men will be lovers of themselves, lovers of money, boasters, proud, blasphemers, disobedient to parents, unthankful, unholy, unloving, unforgiving, slanderers, without self-control, brutal, despisers of good, traitors, headstrong, haughty, lovers of pleasure rather than lovers of God, having a form of godliness but denying its power. And from such people turn away! For of this sort are those who creep into households and make captives of gullible women loaded down with sins, led away by various lusts, always learning and never able to come to the knowledge of the truth. Now as Jannes and Jambres resisted Moses, so do these also resist the truth: men of corrupt minds, disapproved concerning the faith; but they will progress no further, for their folly will be manifest to all, as theirs also was. But you have carefully followed my doctrine, manner of life, purpose, faith, longsuffering, love, perseverance, persecutions, afflictions, which happened to me at Antioch, at Iconium, at Lystra—what persecutions I endured. And out of them all the Lord delivered me. Yes, and all who desire to live godly in Christ Jesus will suffer persecution. But evil men and impostors will grow worse and worse, deceiving and being deceived. But you must continue in the things which you have learned and been assured of, knowing from whom you have learned them, and that from childhood you have known the Holy Scriptures, which are able to make you wise for salvation through faith which is in Christ Jesus. All Scripture is given by inspiration of God, and is profitable for doctrine, for reproof, for correction, for instruction in righteousness, that the man of God may be complete, thoroughly equipped for every good work”. ( 2 Timothy 3:1‭-‬17 NKJV). 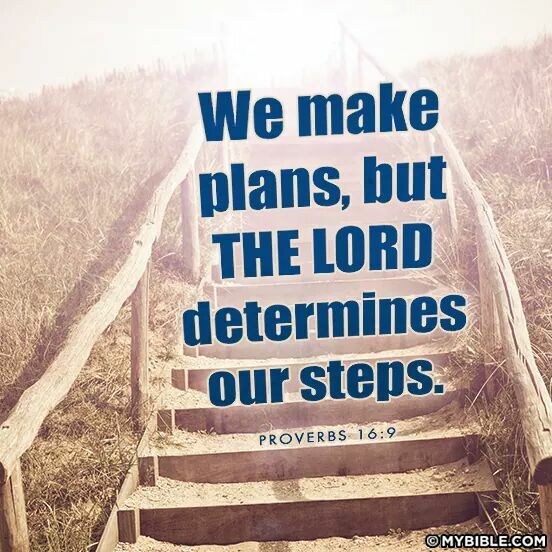 This entry was posted in Daily Message and tagged activate the plans God got for you, find out what God's plan is for your life, put God's plan ahead of yours. ← NO MATTER HOW HARD YOU TRY , YOU CAN’T TAKE IT WITH YOU.